The hardest part about losing weight in the adolescent years is the temptation that one faces in form of junk food. If your friends are constantly eating burgers and junk food, you will have to learn to say no to it. You must, instead, focus on nutrition rich foods such as fruits and vegetables. Make sure you eat within a fixed calorie range ideal for your weight and height. Use the daily calorie calculator to determine your total daily calorie intake based on age, height, weight and activity levels. This is very important when trying to lose weight in the teenage years. Thirst and dehydration often get mistaken for hunger. You must drink at least 8-10 glasses of water, even more in summers and on days you sweat from physical activity. So consume plenty of water. Carry a water bottle to school or drink from the water fountain at regular intervals. Sugar has a sneaky way of getting inside us – most packaged goods and beverages have sugar in the form of corn syrup, molasses etc. So start reading labels on food items. Avoid drinks such as juices, and sweetened coffee and tea. Stay away from alcohol which also contains sugar. Try and avoid Kool Aid, pop, Gatorade and other sports drinks which all contain huge amounts of sugar. This is one of the easy ways to lose weight at home without exercise. Teenagers need adequate amounts of calcium which is essential for strong bones and teeth and also for maintaining ideal body weight. So consume low fat dairy products daily. Have at least 2 glasses of skimmed milk or 1% milk twice a day and snack on low-sodium cheese when hungry. This is one of the easy ways to lose weight for teenagers without diet and exercise. Consuming fruits and vegetables gives you vitamins, minerals and anti-oxidants. These fight free radical damage and also give you roughage that cleans out your body off toxic waste. Fruits and veggies also contain complex carbs that keep you full longer. This way, you can prevent hunger pangs and unnecessary snacking. Choose fruits and vegetables of different colors. Also try and eat at least one colorful fruit or vegetable with each meal and 2-3 servings as snacks. You can make a homemade dip with peanut butter or use salad dressings with low fat ingredients to go with these. Human body needs a wide range of nutrients such as vitamins, minerals, carbohydrates, fats, and proteins. Some people have seen success by following low carb diets like Ketogenic diet, Paleo diet etc. However, there are many controversies surrounding these diets. In order to lose weight fast, you can try reducing your simple carbohydrate intake. Focus, instead, on complex carbs like whole grains and fruits and vegetables. Also eat lean protein like chicken, turkey and fish. Snack on unsalted nuts and seeds which are packed with Omega 3 fatty acids that help maintain body weight. Trans fats are found in packaged foods (chips, pretzels), bakery items (pastries, cakes, cookies), and fried junk foods. Also avoid butter, margarine and unhealthy oils like peanut, soyabean oil, vegetable oil etc. These clog the arteries and also get deposited in the stomach and thigh areas. So avoid all form of unhealthy fatty foods. Focus on good fats found in olive and coconut oil, walnuts and avocadoes. Eat fatty fish like salmon and tuna at least 3 times a week. This is one of the easy ways to lose weight for teenagers and adults alike. Many teenagers looking to lose weight in a week think they are helping themselves by skipping meals. Most tend to skip breakfast. This is the worst thing you could do in terms of weight loss. When trying to lose weight, you must follow the old adage: “Eat breakfast like an emperor, lunch like a king and dinner like a pauper”. This will help you remain full longer and prevent unhealthy binges and snacking. As stated above, many fad diets such as the cabbage soup diet promise fast weight loss. However, eating only one type of food is not a sustainable method of losing weight. At the most, you end up losing water weight which comes right back on within a few days. Instead, look for a diet and exercise regime that allows you to eat well and provides sustainable results. This will also give you energy for your school and activities instead of making you cranky with hunger. Most teenagers gain weight due to unhealthy snacking. It is important that you talk to your family about your weight loss goals. If possible, take a shopping trip with your parent and buy healthy snacks such as fruits and vegetables to eat between meals. Avoid buying chips, cookies and crackers. Once these temptations are out of the way, you will automatically reach for healthy snacks when hungry. Develop a habit of reading food labels on packaged goods. Stay away from all so called low fat items that are high in additives, sugars and dyes. These ingredients are addictive in nature and cause you to eat more of them-so you still end up gaining weight. Learn to prepare some healthy snack recipes to eat in between meals. There is no easy way to lose weight-whether you are a teenager or an adult. Some amount of physical exercise is a must. You need not spend hours in the gym- even simple activities like daily walking, swimming, cycling etc can show great results. Choose an activity which you love and will stick to. If needed, get a buddy to exercise with you. This is one of the easy ways to lose weight in a week and sustain the results. 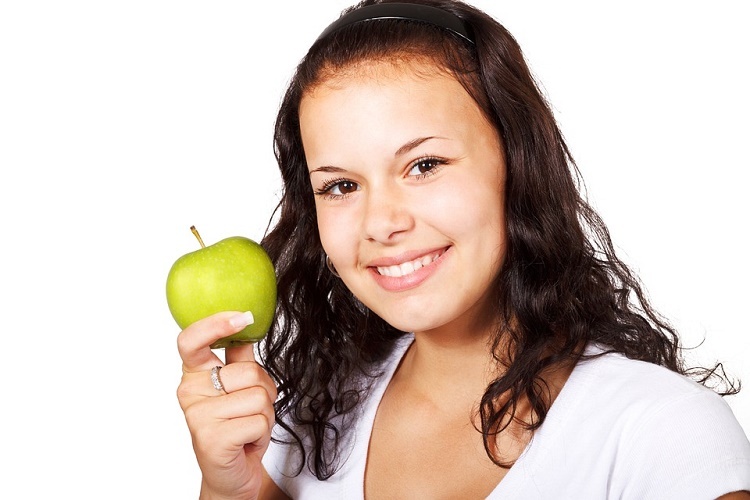 These 11 easy ways to lose weight are applicable for teenagers and adults looking to lose weight fast. If they do not show results, do talk to a doctor. Chances are that your weight gain is hormonal in nature and an endocrinologist may be able to help. If you are overweight in your teens, chances are that you will be overweight in adulthood as well. So do follow these tips and suggestions to change your routine and diet for life.